Sophisticated home with Ralph Lauren charm inspired by the movie ”It’s Complicated”. Property features 5 bedrooms (all ensuite w/ walk in closets), 3 fireplaces, an office, bonus room, 5.5 baths & 6 car garage. Finishes include: French oak wood, grey limestone floors, Tabarka tile, Highborn Rysso Peters cabinetry, Carrara marble and Visual Comfort + Ralph Lauren lighting throughout. GORGEOUS kitchen with Sub Zero & Wolf appliances overlooks backyard & great room. Resort like backyard ideal for entertaining w/ long covered patio, brand new lap pool and an expansive lawn area with plenty of room to add a guest house. 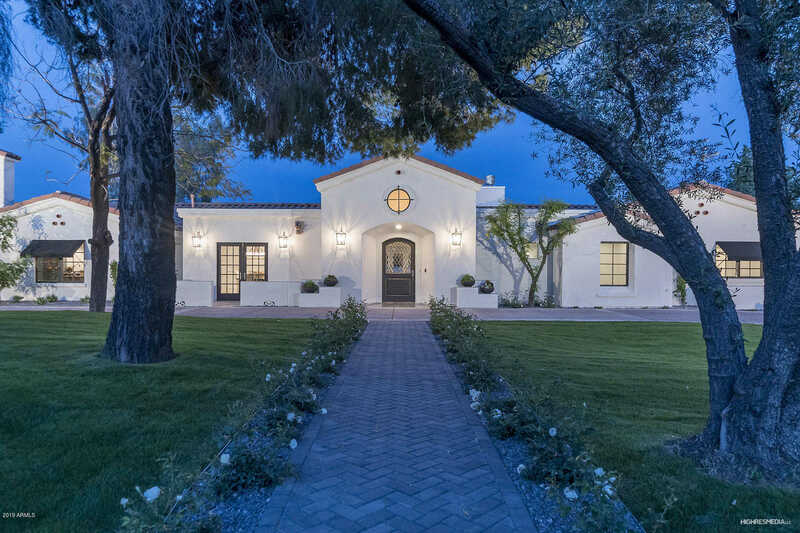 The immaculate details, open floor plan & prestigious location (just a 5 minute walk to Camelback Country Club) make this home a true gem in the heart of Paradise Valley! Full room addition update in 2019. Approximate size: 44596.00 sq. ft.